Meanwhile lets just say that we are proud briancraigie contributed a whooping 99 entries. As technology expands most small business owners are unable to keep up with the ever growing and changing needs of the technology within their business. 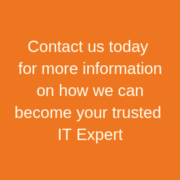 Many are beginning to outsource their technology support needs and are looking for Small Business IT Support Provider.